Sometimes You Just Need a Miracle! Does wisdom only come with age? When Frank Martin lost his wife Leah to a sudden illness, he was angry at the doctors and at life. His 8 year old daughter, Amanda, worried that her father would sink into another depression. Then one night, two weeks after her mother's death, Amanda had a vivid dream. A beautiful angel spoke to her about her father, her departed mother, and about life and death. The beautiful and lonely Linda Parker began to pursue Frank. His heart reached out to her, but he knew it was wrong: even though she was dead, his love was for Leah alone. Through his anger and sadness, Frank began to rely more and more on his daughter for emotional support. He noticed that the little girl began to say and do things no 8 year old could possibly know. Discover how the power of love can inspire you and change your life. 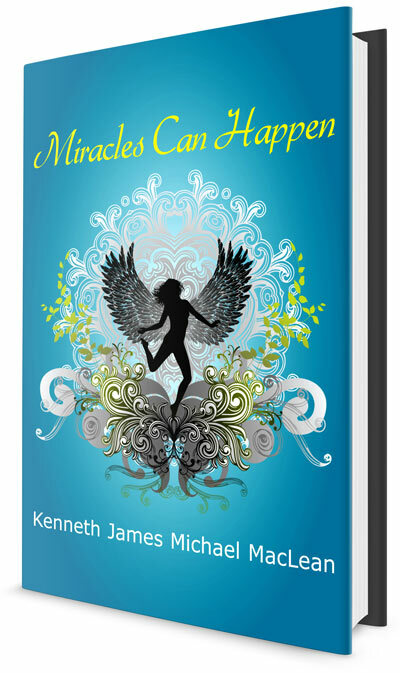 Miracles Can Happen may be downloaded immediately after purchase. *Google Checkout sends me your order via email that I manually process. I then send you an instant download link. Therefore, there may be a slight delay between the time you place your order and when your order is processed. Note: Google does NOT charge your credit card when your order is placed. Your card is not charged until your order is shipped. P.S.If you aren't satisfied after reading this eBook, I will give you your money back.